The rise and danger of burglaries caused by lock snapping and how to help combat it with snap-proof locks properly fitted and adhering to certain recognised standards. You may think the multi point locks on your UPVC doors are the ultimate in lock security, but these Euro cylinder locks can in fact be extremely vulnerable. They’re susceptible to an increasingly popular break in method called lock snapping; a procedure whereby a burglar will break into your property by literally snapping the lock to gain entry. With incidences of lock snapping showing a rise nationally as a method of breaking and entering – in West Yorkshire an increase in lock snapping burglaries of 25% has been recorded – a way of defending against this type of break in is necessary such as fitting snap proof locks. It’s a method whereby the cylinder of a Euro cylinder lock – the type commonly used in UPVC doors with multi point locking systems – is literally snapped in two in order to access the lock mechanism. From here it’s comparatively simple for the burglar to open the door and gain access. Euro cylinder locks come in various flavours such as single cylinder (key operated from one side only), double cylinder (key operated from both sides), and double cylinder with thumb turn (key access on one side and a thumb turn on the other). 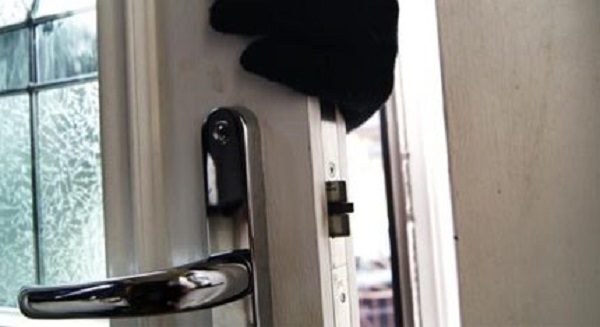 Many burglars statistically gain access through the front door; these include incidences where the householder has left a door unlocked or a very old lock has been easily forced. When lock snapping, burglars who know what they’re doing can gain access in a matter of seconds; in test cases ex burglars have managed it in under half a minute. Have I got snap-proof locks? While multi point locking doors appear the ultimate in door security, the cylinder is the vulnerable aspect and – if forced through lock snapping – renders the rest of the door’s security features useless. So even if you have relatively new UPVC doors with multi-point locking, they may not have snap-proof locks – and even if they do the locks may not be to the required standard as discussed further down. Ask an experienced and qualified professional such as this locksmith in Essex to check what locks you have and to advise accordingly. A cylinder protruding from the lock is especially vulnerable as its easier to snap it; the cylinder should protrude hardly at all from the door lock. What are snap-proof locks and how can they help? Snap-proof locks offer a strong line of defence against the lock snap type burglary. In operation they will actually snap, but not in a manner which leaves the lock mechanism exposed and therefore enabling a break in. Snap-proof locks that conform to the required standards are designed to break off usually at the front while leaving enough of a section of the cylinder still attached firmly in the door to protect the mechanism. It’ll still even be possible to use the key to open and lock it from the inside after the attack. What snap-proof locks should be used? Option 1 – sold secure SS312 Diamond Approved Cylinder; the ultimate snap-proof lock. Option 2 – TS007:2012 3 star kitemark; if the above SS312 type isn’t used then the cylinder should at least have the three star kite mark symbol. Locks that have passed the older kitemark prior to TS007:2012 haven’t been tested for lock snapping. Option 3 – 1 star kitemark cylinder with 2 star kitemark door furniture (such as handle and cylinder guard). A qualified locksmith should be able to advise on your options and, whatever you do, ensure they also fit the locks for you. It definitely isn’t a DIY job.